For other people named Robert Price, see Robert Price. 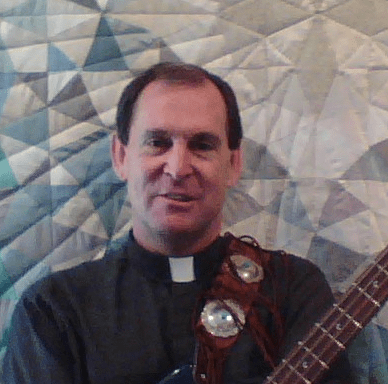 Robert McNair Price (born July 7, 1954) is an American theologian and writer. He teaches philosophy and religion at the Johnnie ColemonTheological Seminary, is professor of biblical criticism at the Center for Inquiry Institute, and the author of a number of books on theology and thehistoricity of Jesus, asserting the Christ myth theory. A former Baptist minister, he was the editor of the Journal of Higher Criticism from 1994 until it ceased publication in 2003. He has also written extensively about the Cthulhu Mythos, a “shared universe” created by the writer H. P. Lovecraft. He also co-wrote a book with his wife, Carol Selby Price, Mystic Rhythms: The Philosophical Vision of Rush (1999), on the rock band Rush. Price is a fellow of the Jesus Seminar, a group of 150 writers and scholars who study the historicity of Jesus, the organizer of a Web community for those interested in the history of Christianity, and sits on the advisory board of the Secular Student Alliance. He is a religious skeptic, especially of orthodox Christian beliefs, occasionally describing himself as a Christian atheist. Price was formerly a Baptist minister in New Jersey, with doctorates in theology (Drew University 1981), and New Testament (Drew 1993). In books like The Incredible Shrinking Son of Man and Deconstructing Jesus, Price challenges biblical literalism and argues for a more skeptical andhumanistic approach to Christianity. Price’s religious background often informs his Mythos criticism, seeing gnostic themes in Lovecraft’s fictional god Azathoth and interpreting “The Shadow Over Innsmouth” as a kind of initiation ritual. Most of the early Cthulhu books by Chaosium were overseen by Price; his first book was The Hastur Cycle (1993), a collection of short stories which traced the development of a single Lovecraftian element, and this was followed by Mysteries of the Worm (1993), a collection of Robert Bloch‘s Mythos fiction. Price runs The Bible Geek, a broadcast show where Price answers listeners questions. In 2010 he became one of three new hosts on Point of Inquiry (the Center for Inquiry‘s podcast), following the retirement of host D. J. Grothe from the show. Having appeared on the show twice before as a guest (see external links below), he hosted until 2012. In 2005, he appeared in Brian Flemming‘s documentary film The God Who Wasn’t There. 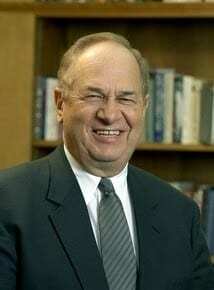 In 1999, he debated William Lane Craig, arguing against the historicity of Jesus’ resurrection. In 2010, he debated James White, arguing against the reliability of the Bible. In the second video below in the 75th clip in this series are his words and my response is below them. About 20 years ago I read the book LEAVING THE FOLD by my friend Ed Babinski and Ed told me about you. Since then I have read some of your other material and have even seen you on TV several times. Also I read your article “Atheists for Huckabee” posted on FEBRUARY 11, 2015, and I too hope he does well but now it looks like he will be heading back to FOX NEWS to reclaim his old program since he is running at 5% in the latest polls. With this striking metaphor, Schaeffer means to assure his readers in advance that all the evidence will be found to agree with the evangelical, biblicist view of things. The fundamentalist can count on never having to change his mind. What wonder that this assurance becomes a self-fulfilling prophecy as the bib­licist runs up against evidence that does not easily comport with his view. It will be made to do so, or to seem to do so. Either it will be denied in the name of the biblical text (d. the Creationist attack on evolution), or it will be ventriloquistically co-opted (as in the case of the new physics). The science of archaeology has confirmed the basic historical accuracy of the Gospel record. 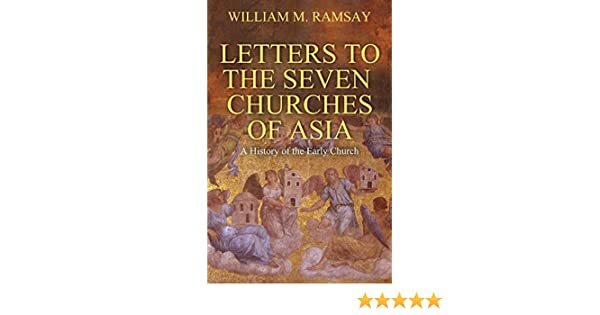 To take but one example, there are the writings of Sir William Ramsay, whose conversion from a skeptical view of the New Testament was supported by a lifetime of research in the near-eastern world. He wrote, “I began with a mind unfavorable to it. More recently I found myself often brought in contact with the book of Acts as an authority for topography, antiquities, and society of Asia minor. 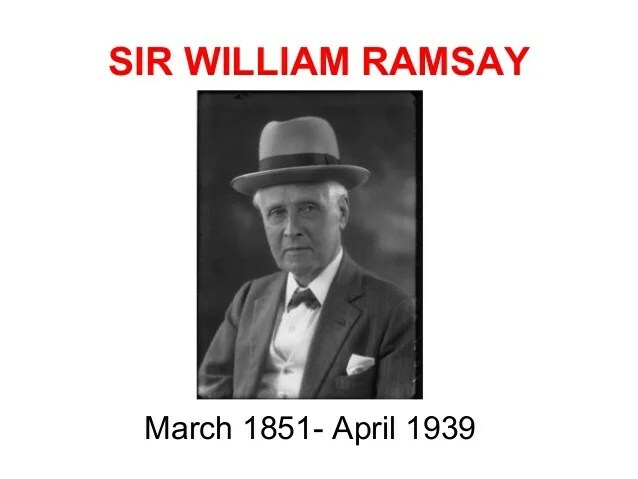 It was gradually born in upon me that in various details the narrative showed marvelous truth.” As a result, Ramsay discovered that Luke was a first-rate historian. In Luke’s references to 32 countries, to 44 cities, and 9 islands, there were no errors. This being the case, Luke’s prior narration of Christ’s death and resurrection (which are integral parts of his Gospel) should be accepted as authentic as well. And since it is in accord with that of the other Gospels on the basic facts about the death and resurrection of Christ we have here an archaeological confirmation of the basic historicity of these documents on these essential facts. WANT SOME MORE EVIDENCE? Take a look at this article below from Walter Kaiser, Jr. In his “Encyclopedia of Biblical Prophecy,” J. Barton Payne itemized 127 Messianic predictions involving more than 3,000 Bible verses, with a remarkable 574 verses referring directly to a personal Messiah! My book “The Messiah in the Old Testament” examined 65 direct prophecies about the Messiah. These incredible promises formed one of the most central themes of the Old Testament: the coming Messiah. The word Messiah or Anointed One (or in Greek, Christ), is taken from Psalm 2:2 and Daniel 9:25-26. The term took its meaning from the Jewish practice of anointing their priests and kings. But this term was applied in a special sense to the future Ruler who would be sent from God to sit on the throne of David forever. He is the One that God distinctly identified many years ahead of His arrival on earth, as Acts 3:18 affirms: “But this is how God fulfilled what he had foretold through all the prophets, saying that his Christ [Messiah] would suffer” (NIV). Likewise, according to 1 Peter 1:11, the Old Testament prophets predicted “the sufferings of Christ and the glories that would follow” (NIV). The Messiah’s coming was not a secret left in a corner, but the repeated revelation of God to His people in the Old Testament. The Messiah would be the seed/offspring of a woman and would crush the head of Satan (Genesis 3:15). He would come from the seed/offspring of Abraham and would bless all the nations on earth (Genesis 12:3). He would be a “prophet like Moses” to whom God said we must listen (Deuteronomy 18:15). He is the One whom Israel will one day recognize as the One they pierced, causing bitter grief (Zechariah 12:10). The prophesies about the Messiah were not a bunch of scattered predictions randomly placed throughout the Old Testament, but they form a unified promise-plan of God, where each promise is interrelated and connected into a grand series comprising one continuous plan of God. Thus, a unity builds as the story of God’s call on Israel, and then on the house of David, progresses in each part of the Old Testament. However, this eternal plan of God also had multiple fulfillments as it continued to unfold in the life and times of Israel. For example, every successive Davidic king was at once both a fulfillment in that day as well as a promise of what was to come when Christ, the final One in the Davidic line, arrived. Each of these successive fulfillments gave confidence that what was in the distant future would certainly happen, because God was working in the fabric of history as well. And although the promise was made to specific persons, such as Eve, Abraham, Isaac, Jacob and David, it was cosmopolitan in its inclusiveness. What God was doing through Israel and these individuals was to be a source of blessing to all the families of the earth (Genesis 12:3). I responded, “It says, ‘They will look on me, the one they have pierced.’ How did He get pierced?” He answered that he did not know. I said, “I have an idea. It was at Calvary.” He did not counter with any further argument. The Bible is saying that on that future day of His Second Coming, Jews and Gentiles will personally see the One who was pierced for the sins of the world. In other words, that “future day” will not be the first time they have seen Him. So even the Old Testament, it turns out, anticipated two comings of the Messiah: one at His birth and another when He comes as triumphant king at His Second Coming. What would this world be like without the Messiah? What would Christmas be like without the fulfillment of all those ancient promises and the prospect of Messiah’s coming yet once more as King of kings and Lord of lords? His arrival has made the difference between light and darkness itself. Think what His triumphal appearance once more will mean to this world. Everyone, including all of nature itself (Romans 8:20-21), will let out a burst of praise such as has never been heard: Here comes the King Himself, our Lord and our Savior! Joy to the World! ROBERT you lost your faith because of the scientific evidence evidently that changed your mind about the Bible. Charles Darwin walked down a similar path that you did evidently. Did you know that eventually Darwin lost his love of music and poetry and he blamed that on his conversion at agnosticism? I learned this when I read the book Charles Darwin: his life told in an autobiographical chapter, and in a selected series of his published letters. 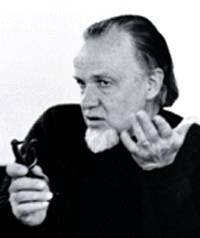 I am going to quote some of Charles Darwin’s own words and then include the comments of Francis Schaeffer on those words. I have also enclosed a CD with two messages from Adrian Rogers and Bill Elliff concerning Darwinism. What we find now is that he comes to the place in being agnostic, but as we read through this section on religion what we find is in reality his reason leads him against this position, which is interesting but his theory makes him accept the position of agnosticism….. I think what you have in Darwin is a magnificent example, although a sad one of what I lecture on in apologetics, and that is if a man takes a set of nonchristian presuppositions he is forced eventually to be in a place of tension. The more consistent he is with his own nonchristian presuppositions the more he is away from the real world. When he is closer to the real world then he is more illogical to his own presuppositions. So he has come to the place as an old man that he doesn’t believe there has been any revelation. In his younger years he held a different position. The passages which here follow are extracts, somewhat abbreviated, from a part of the Autobiography, written in 1876, in which my father gives the history of his religious views:—“During these two years* (ft note *October 1836 to January 1839.) I was led to think much about religion. Whilst on board the Beagle I was quite orthodox, and I remember being heartily laughed at by several of the officers (though themselves orthodox) for quoting the Bible as an unanswerable authority on some point of morality. So you find that as a younger man he did accept the Bible. As an older man he has given up revelation but he is not satisfied with his own answers. He is caught in the tension that modern man is caught in. He is a prefiguration of the modern man and he himself contributed to. Then Darwin goes on and tells us why he gave up the Bible. I suppose it was the novelty of the argument that amused them. But I had gradually come by this time, i.e. 1836 to 1836, to see that the Old Testament was no more to be trusted than the sacred books of the Hindoos. The question then continually rose before my mind and would not be banished,—is it credible that if God were now to make a revelation to the Hindoos, he would permit it to be connected with the belief in Vishnu, Siva, &c., as Christianity is connected with the Old Testament? This appeared to me utterly incredible. Darwin is saying that he gave up the New Testament because it was connected to the Old Testament. He gave up the Old Testament because it conflicted with his own theory. Did he have a real answer himself and the answer is no. At the end of his life we see that he is dehumanized by his position and on the other side we see that he never comes to the place of intellectual satisfaction for himself that his answers were sufficient. So there is something deficient in his position from the beginning. The word of God if it is going to mean something, must mean a personal God. The word “God” is without much meaning otherwise. Now Darwin says when I look back and when I look at nature I came to the conclusion that man can not be just a fly! But now Darwin has moved from being a younger man to an older man and he has allowed his presuppositions to enter in to block his logic, these things at the end of his life he had no intellectual answer for. To block them out in favor of his theory. Remember the letter of his that said he had lost all aesthetic senses when he had got older and he had become a clod himself. Now interesting he says just the same thing, but not in relation to the arts, namely music, pictures, etc, but to nature itself. Darwin said, “But now the grandest scenes would not cause any such convictions and feelings to rise in my mind. It may be truly said that I am like a man who has become colour-blind…” So now you see that Darwin’s presuppositions have not only robbed him of the beauty of man’s creation in art, but now the universe. He can’t look at it now and see the beauty. The reason he can’t see the beauty is for a very, very , very simple reason: THE BEAUTY DRIVES HIM TO DISTRACTION. THIS IS WHERE MODERN MAN IS AND IT IS HELL. The art is hell because it reminds him of man and how great man is, and where does it fit in his system? It doesn’t. When he looks at nature and it’s beauty he is driven to the same distraction and so consequently you find what has built up inside him is a real death, not only the beauty of the artistic but the beauty of nature. He has no answer in his logic and he is left in tension. He dies and has become less than human because these two great things (such as any kind of art and the beauty of nature) that would make him human stand against his theory. Darwin like you was consistent with his view of the UNIFORMITY OF NATURAL CAUSES in a closed system and it cost him the love of music, art and the beauty of nature. 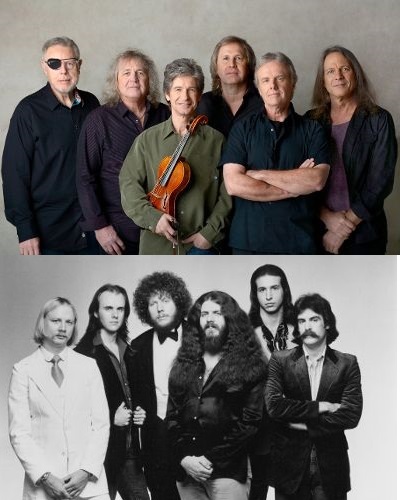 TWO OTHER ALSO HELD THIS SAME view of uniformity of natural causes in a closed system in 1978 when their hit song DUST IN THE WIND rose to the top 10 in the music charts.